My friend, Bag Lady, is hosting a party tonight. A Pi(e) Party. What’s a Pi(e) Party you ask? It’s like any other party, except you bring a pie with you. Any kind of pie. Only catch – you have to bake the pie yourself. It’s been a long week, and I’m feeling far too lazy to make a pie from scratch. So I’m going to cheat. I ran by the grocery store a little earlier today and picked up the bare essentials (because that’s all my local has, the bare essentials… at premium prices). What did I get? A pre-made Graham crust pie shell. Why? Because I won’t need to bake it before filling it! Two big bars of dark chocolate. Whipping cream. A little milk. A little honey. And an egg. That’s everything you’ll need! Warm whipping cream (that’s the heaviest cream I can find here in Toronto, if you’re in Europe – find yourself some double cream) to a gentle boil, stirring regularly to stop any skin forming. Add boiling cream to the chopped chocolate. Give it a moment to melt the chocolate. Add honey. Mix well. 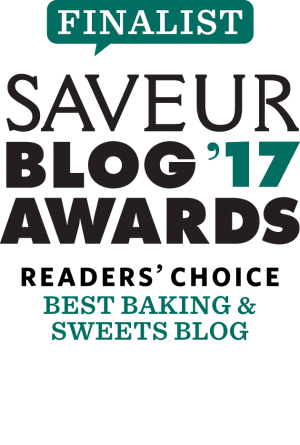 I’ve always loved dark chocolates, and I used an equal mix of 70% and 72% cocoa, but feel free to reduce this if you prefer something sweeter. Don’t switch to milk though – I’d recommend anything between 55% and 72% for this recipe. 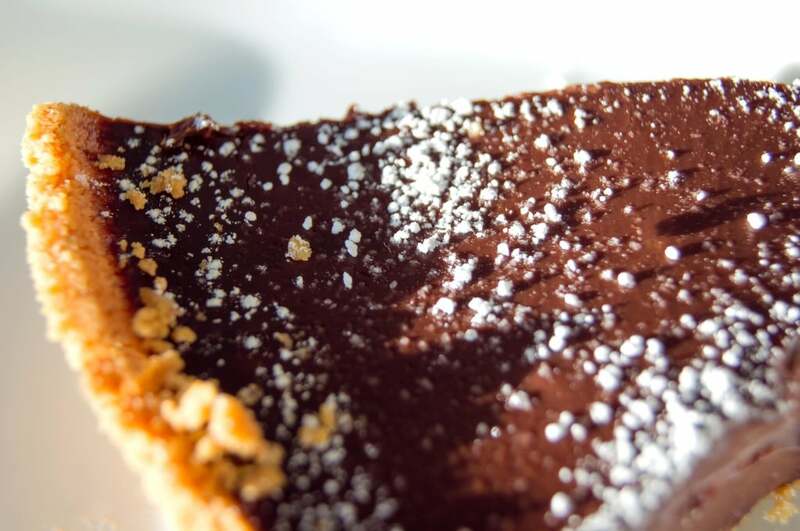 On that note, make sure to use the best chocolate you can afford, it’s the key component of this pie. And just like you’d use beautiful, ripe fruits for a fruit salad, you want deeply flavourful chocolate in a chocolate pie. Bake at 300 degrees F for 30 minutes, or until the centre of the pie is set. Take pie out of the oven and let it cool to room temperature. 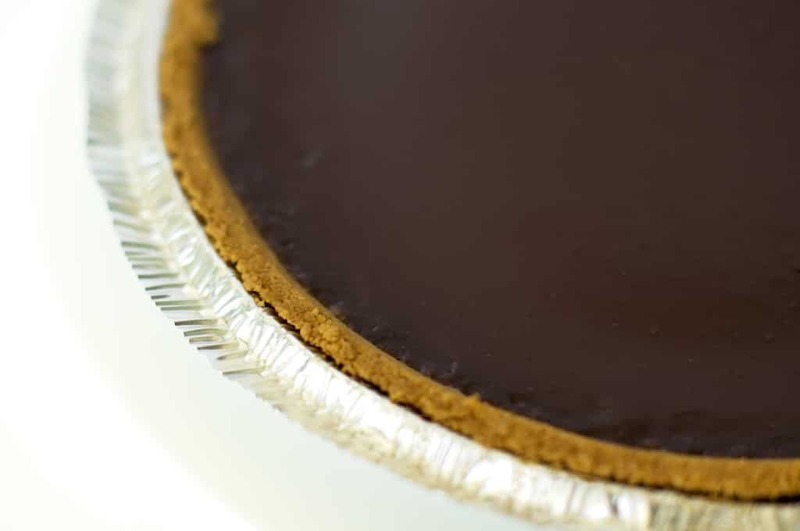 If you don’t allow the pie to cool completely before refrigerating it, you run a good chance of ruining the pie’s texture. Refrigerate for 2-3 hours to allow the chocolate to set. Or leave it at room temperature to completely maintain its incredibly creamy texture (though I’d recommend this only if you’ve placed your pie shell in a loose bottom pan, otherwise it’s incredibly difficult to serve without breaking!). When serving, dust with icing sugar for a little added sweetness and colour. 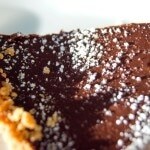 This chocolate pie is deliciously rich and has a delicate, velvety consistency. A small slice is perfect after dinner, or in the afternoon with a cup (or two!) of coffee. What did you do for Pi(e) Day? What kind of pie did you make? Maybe you have a favourite pie? Comment below and tell me all about it. In fact, share your pie recipe with me! 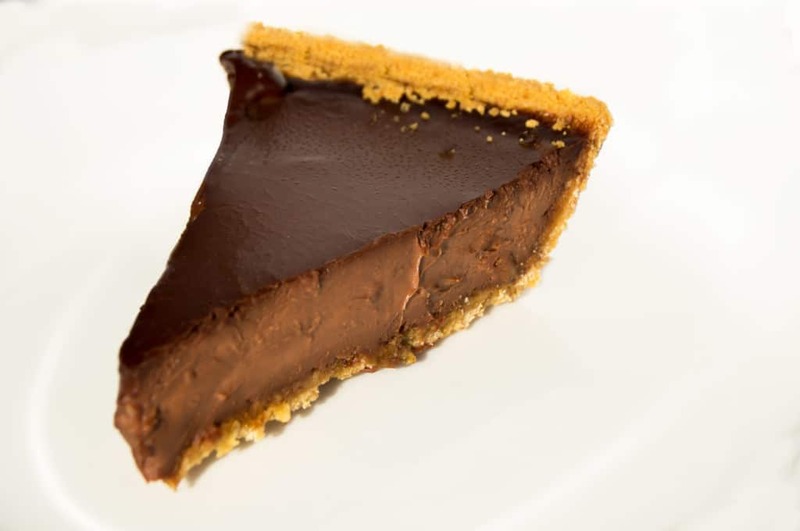 A quick and easy recipe to prepare a delicious and creamy chocolate pie. No one will know you cheated! Warm whipping cream to a boil, stirring gently to stop any skin forming. Add boiling cream to the chopped chocolate. Give it a moment to melt the chocolate. Add honey. Mix well. Add milk to egg, combine well. Pour through a strainer into the chocolate mixture. Stir till completely incorporated. Tap the bowl on your counter a few times to release any air bubbles, and then pour the mixture into your pie shell. Bake at 300 degrees F for 30 minutes, or until the centre of the pie is set. Take pie out of the oven and let it cool to room temperature. Refrigerate for 2-3 hours to allow the chocolate to set. Loos so prosseional and doable! Never made a pie but will give this a try! Hope you like it Naomi! Looks great! Now we don’t have graham cracker pie shells here, but we have something similar. Sounds like I need to try!